Sponsorship opportunities for the 2018 Great American Beer Festival will open this summer. Please add your brewery to the wait list. Is your brewery ready to step up your marketing efforts and promote your brand to the largest, most receptive beer enthusiast audience found anywhere in North America? 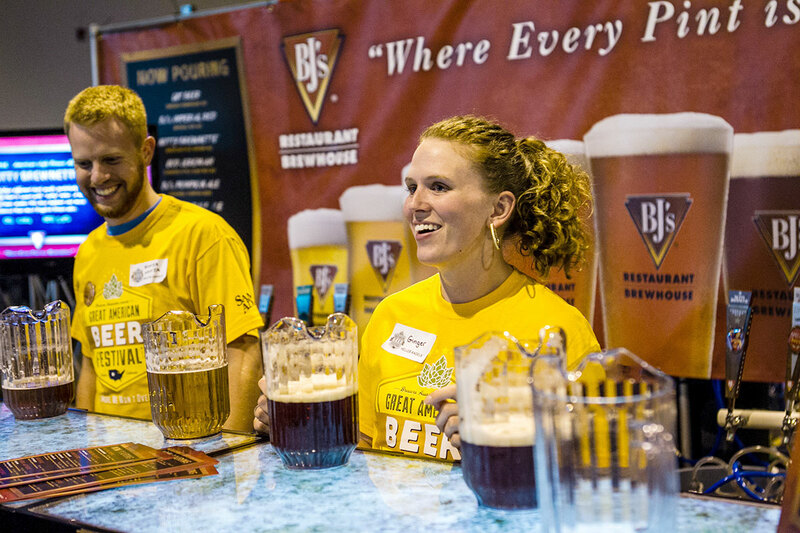 GABF offers a Featured Craft Brewery Sponsorship that will elevate your brewery’s profile. Included with a Featured Craft Brewery sponsorship package is a 10’ x 10’ booth space, electronic banner(s) within the festival hall, advertising in the festival program, all-access sponsor badges, extra tickets for your staff, clients or customers, and your brewery’s logo highlighted as a sponsor on all related festival collateral. This sponsorship opportunity will help your brewery reach and influence festival attendees, as well as brand your brewery’s name with the most prestigious beer festival in the country. Learn about event facts & figures, attendee demographic information and more! View our 2018 GABF Post Event Report. *Please note: Only breweries that meet the BA craft brewer definition are eligible for Featured Craft Brewery sponsorship. Please contact us for more information or to reserve space.